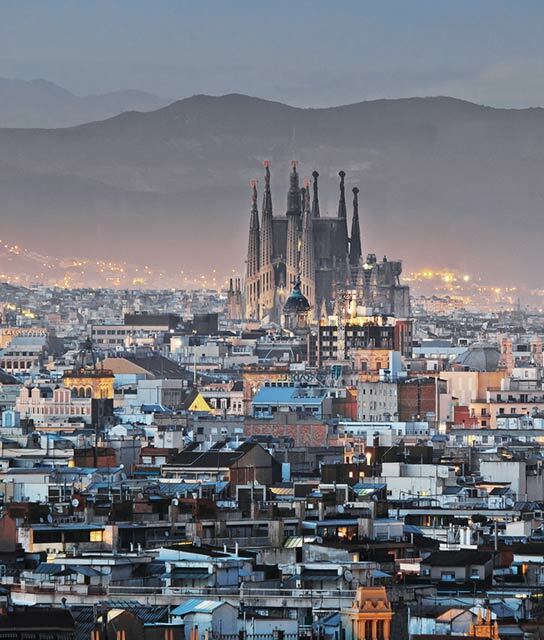 Few places express themselves as creatively as this stunning Mediterranean port city, which is awash in avant-garde chefs, inventive artists and architects, forward-thinking city planners, and bar-hopping revelers who often begin their evening festivities around the time many of us get up in the morning to check in or out of our Barcelona beach hotels. Working in the long shadow of such greats as Pablo Picasso and Juan Miró, today’s Catalonian artists are creating bold movements in exciting new galleries here. Architects are building upon grand traditions established by renowned early-20th-century modernisme masters Antoni Gaudí and Luis Doménech y Montaner. And as for those city planners, there’s the recent transformation of an historically important bullring into a sensational new commercial palace of stores, restaurants, and offices. There is also a movement to ban suburban shopping malls. Now that’s an idea worth discussing. Below find a list of our selection of boutique and luxury hotels in Barcelona. Part of Barcelona's renaissance as a center for commerce and the arts, the hotel is a treasure trove with over 400 objets d’art. A unique experience in remixed neoclassicism, Hotel Granados 83 brings an entirely modern concept of luxury to Old City, Barcelona. Sir Victor Hotel’s unusual limestone façade peels back to reveal a light-filled, function-driven design. Enjoy sea-view rooms and a Michelin star chef in a hip Barcelona neighborhood in the city center.